As much as I'd like to call myself a fashionista, there are (more often than not) times when I lack inspiration and find myself struggling to put outfits together. We all get like it - those moments when we stare at our full-to-the-brim wardrobes in despair, exasperatedly sighing that we have 'nothing to wear'. I've come to the conclusion lately that my main problem lies in not having enough 'basic' clothes to make up the bulk of my outfits, thus leaving me struggling to put outfits together as successfully as I'd like. Whilst I think it's great looking to fashion blogs for inspiration, sometimes I'm looking for a one-stop-shop for outfit inspiration, as well as a place to get other peoples' opinions and, you know, buy clothes too. That's where Mallzee usually comes in. It's a fab little shopping app that makes putting together outfits, gaining inspiration and buying clothes an absolute doddle. You can save the clothes you like, as kind of an 'on-the-go' wishlist, as well as following style feeds, looking to other users for advice and the ability to quickly 'swipe to like' (or dislike) certain items of clothing. The app even has price-drop alerts, letting you know when the little black dress you've been lusting after has been reduced, so never again you get that 'crap, it sold out' feeling. As well as this, it can even learn your personal style and recommend clothes for you - basically like your own personal stylist! Although there are individual apps for all our favourite highstreet stores, the great thing about Mallzee is that it combines them all into one as well as giving us valuable fashion advice. It's perfect if you have a shopping addiction, like me, but you're on the go a lot - this way, you can keep tabs on the clothes you have your eye on, buy them at your leisure, as well as browsing the new trends. It's every fashion lovers perfect app, I think, and a must-have for anyone who's ever had a style conundrum! 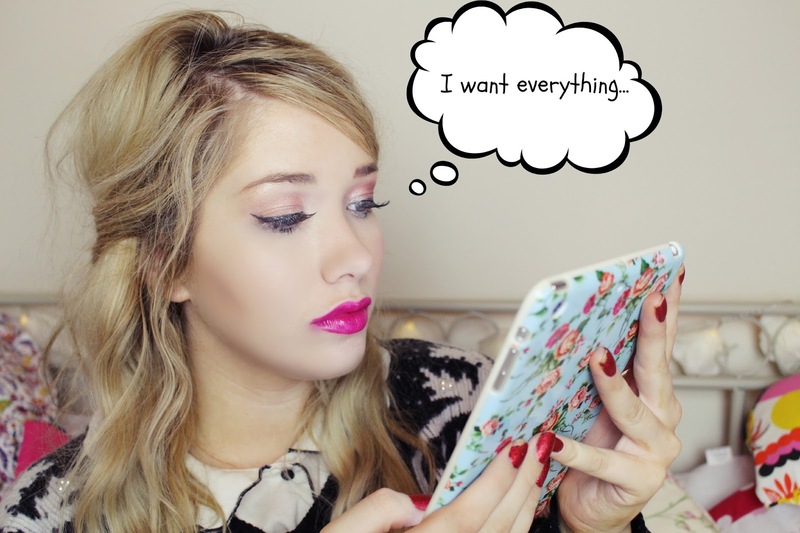 Have you used Mallzee before? Let me know if you've bought anything through it and what you thought!